1,600 Lb. 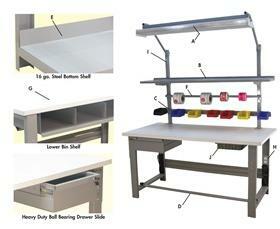 Capacity Roosevelt Series Workbenches - With Standard Laminate Top | Shelving, Inc. 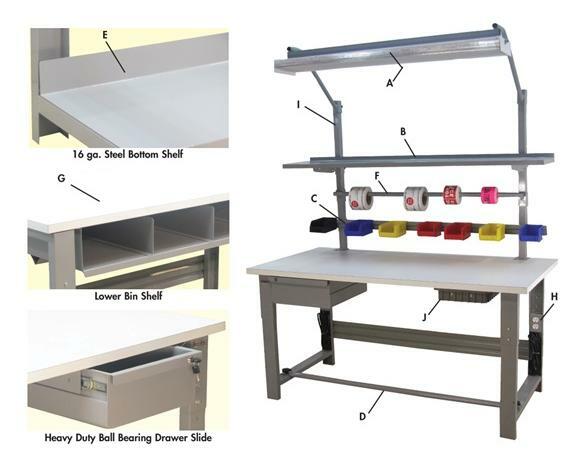 This Workbench features the finest channel leg design available in the USA today. Height adjustment is made at the top of the leg for convenience. FOB Shipping Point. Standard Laminate top colors available in Frosty White, Black, Desert Beige, Gray or Oak. Available Frame Colors: Blue, Gray or Black. To order an item in one of these colors, add the SKU to your shopping cart and indicate the desired frame color in the comments section. 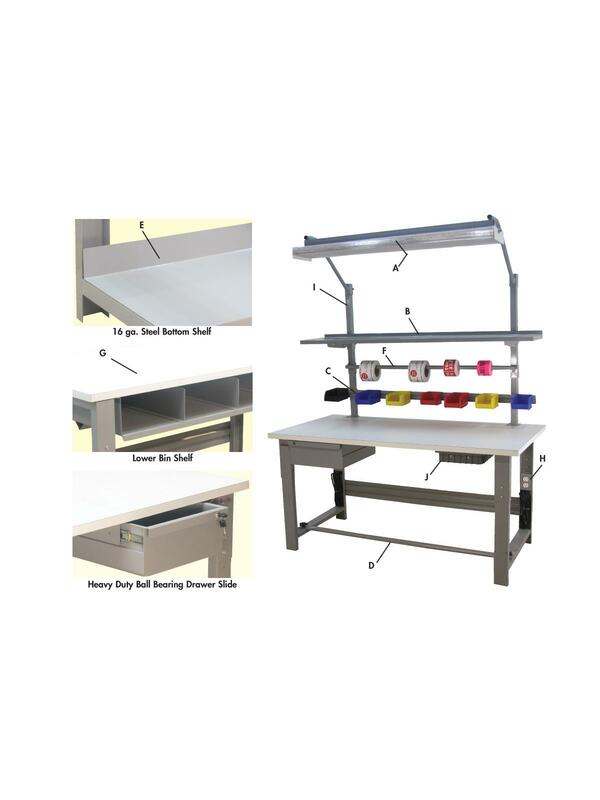 See Related Items tab below for 1,600 Lb Capacity Roosevelt Series Workbenches - with Lisstat™ ESD Top, 1,600 Lb Capacity Roosevelt Series Workbenches - with Butcher Block Top, 1,600 Lb Capacity Roosevelt Series Workbenches - with Stainless Steel Top and 1,600 Lb Capacity Roosevelt Series Workbench Options.